What do you do if you’re a teacher and everything you’re passionate about is largely absent from the curriculum? This is the dilemma I faced more than 20 years ago when I was teaching in the public schools. I had discovered sustainability through the issue of world hunger and was desperately searching for a way to bring these issues into my teaching. I wanted to inspire students and develop their skills in addressing global issues. And that’s when I decided to start Creative Change. I wanted to build an organization focused on supporting educators to teach effectively about sustainability. I wanted to equip people with quality curr iculum that supports inquiry, engagement and action. 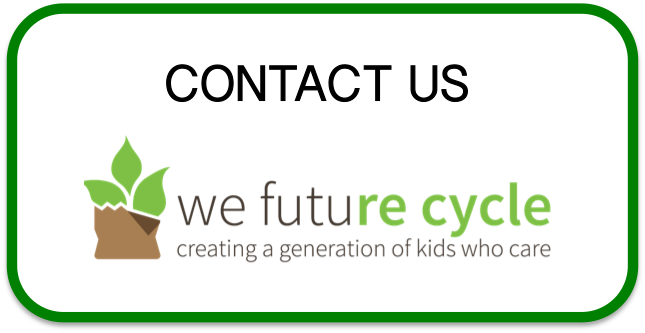 We Future Cycle’s mission is to bring sustainability awareness to students, as young as kindergarten. Children can learn that their choices, their actions count and can make a big difference. We know that doing hands-on source separation in the lunchroom needs to be backed up with class room activities. We created the 2 week “Bash the Trash” program where a 10 day curriculum is tying each step of the program into ELA, Math, Social Studies and Science. Creative Change Educational Solutions graciously supplied us with cutting edge, STEM oriented lesson units, helping teachers to incorporate sustainability education into the mainstream curriculum.